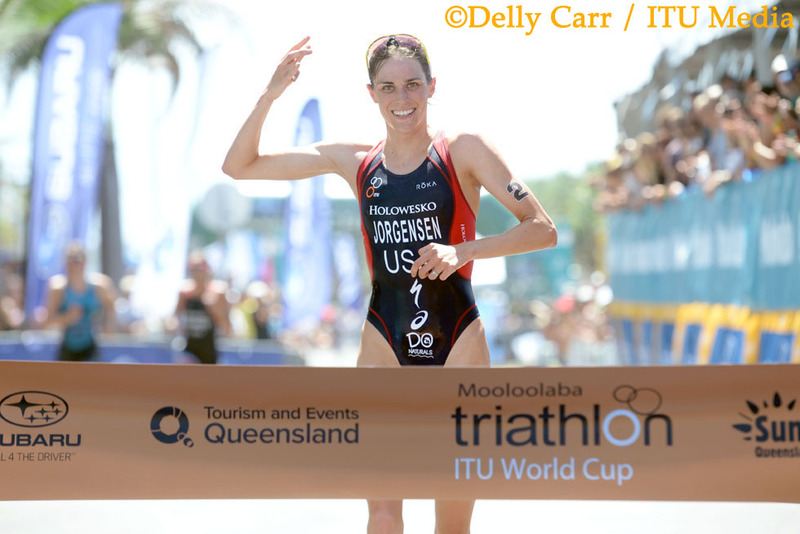 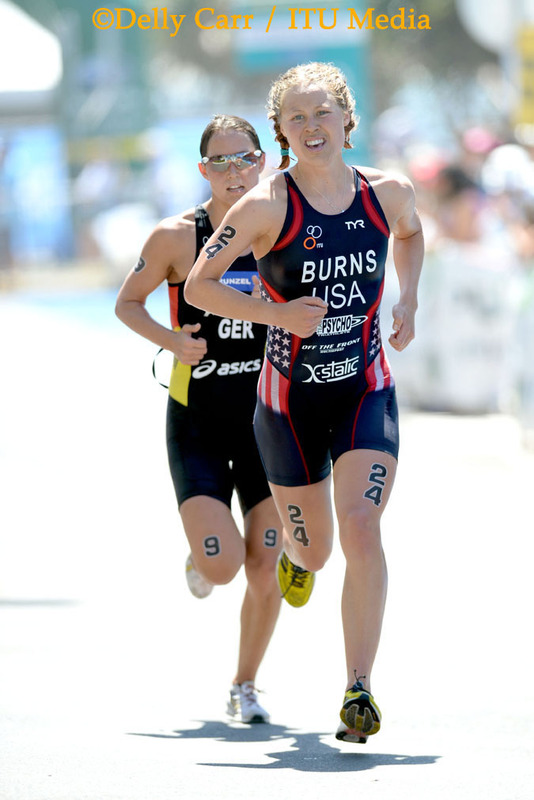 In a USA double, Gwen Jorgensen and Katie Hursey came out on top of a 34-strong field to finish first and second respectively in the opening women’s ITU World Cup sprint race of the season at Mooloolaba on Queensland’s Sunshine Coast on Saturday. 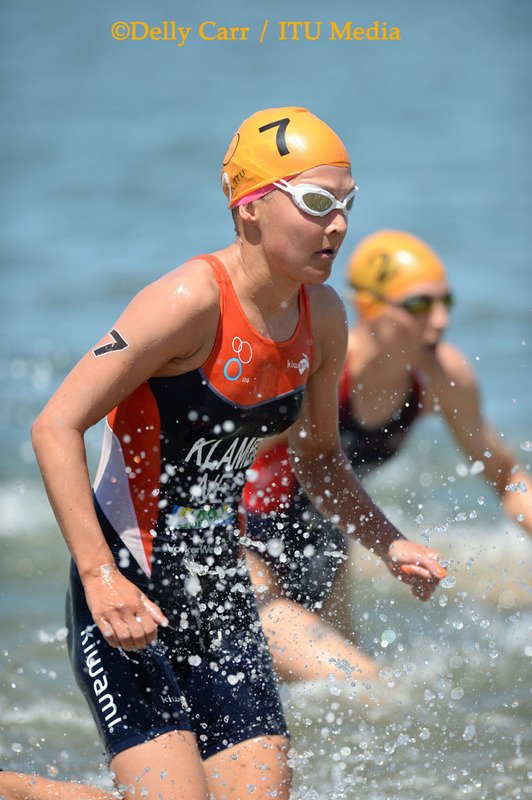 It was a particularly gritty performance from Jorgensen in a race that saw four of the world’s top ten compete after the late withdrawal of Germany’s world number three and 2013 Mooloolaba winner Anne Haug due to an infection. 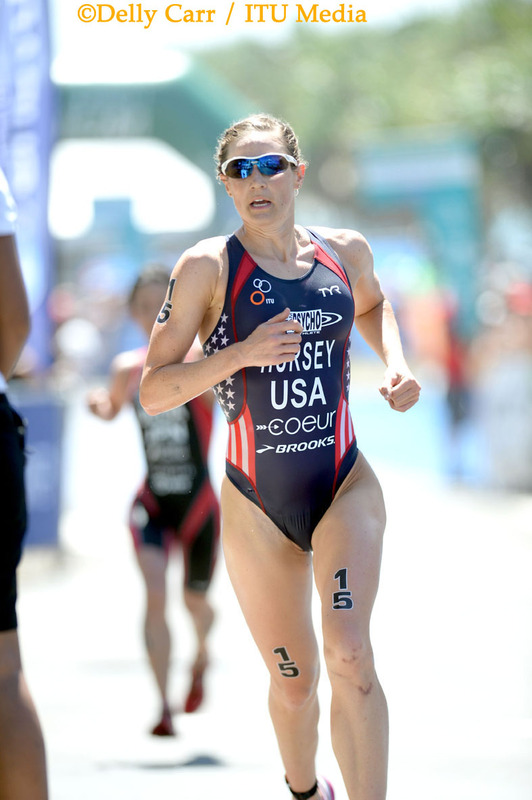 Jorgensen snared the win she so desperately wanted after a nasty crash on the bike took her out of the Grand final race in London at the end of last year. 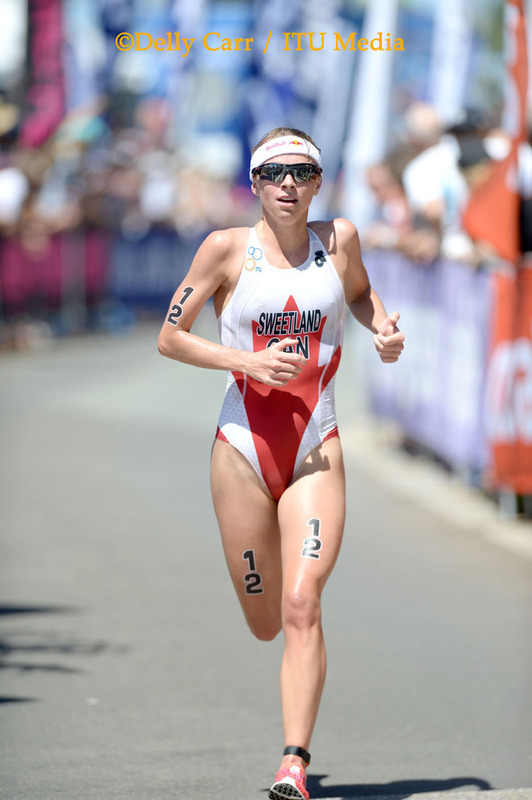 Under sunny skies she once again showed the foot speed that floored the competition in three World Triathlon Series races last year, taking the lead on the second lap of the run to win in 59:55. 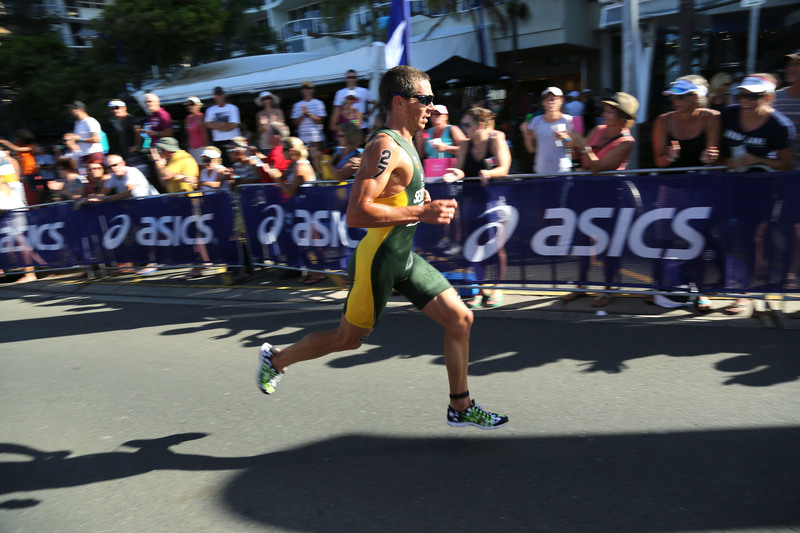 Hursey finished fifteen seconds in arrears while Japan pocket rocket Ai Ueda took third a further four seconds behind. 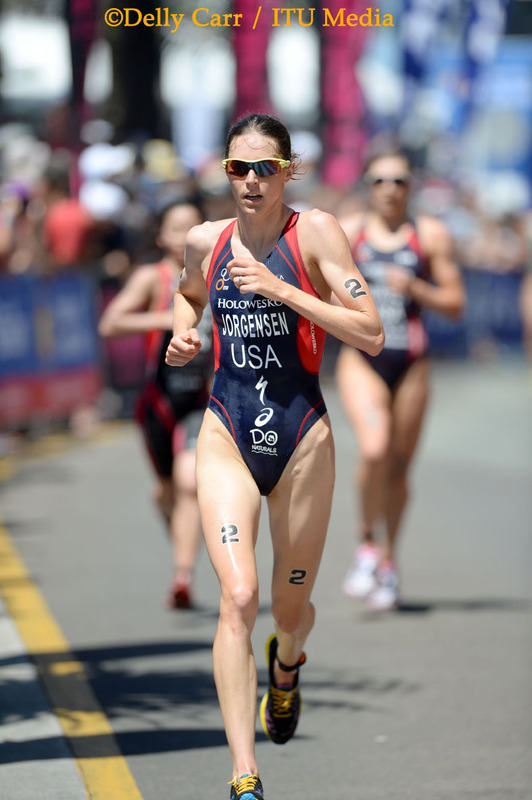 Jorgensen, possibly the fastest and most consistent middle distance runner in the field, says she took time in the off-season to work on the other two disciplines. 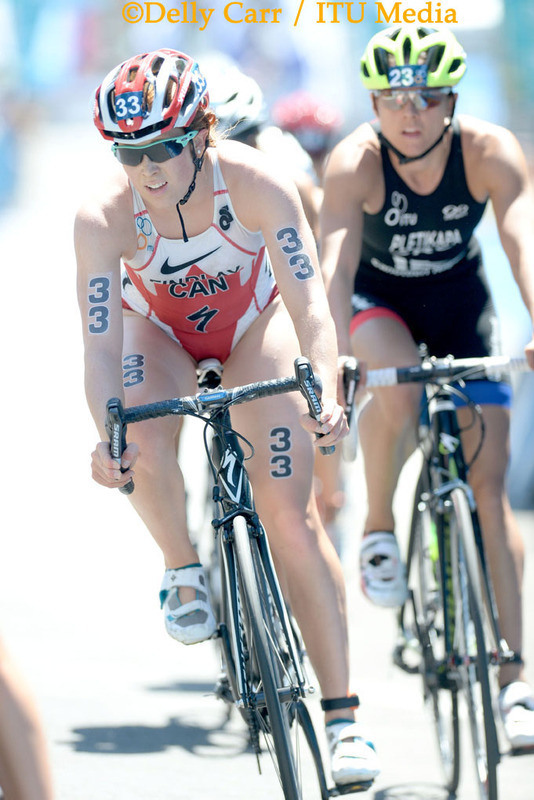 “I was trying to do what I could and tried to have a good swim and a good bike,” Jorgensen said. 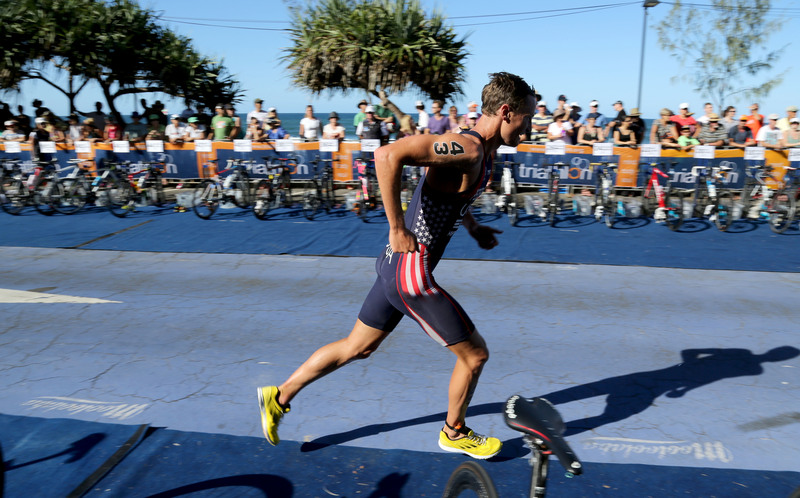 “I haven’t really been working on my running a lot, I sort of just let that happen, but it was good today. 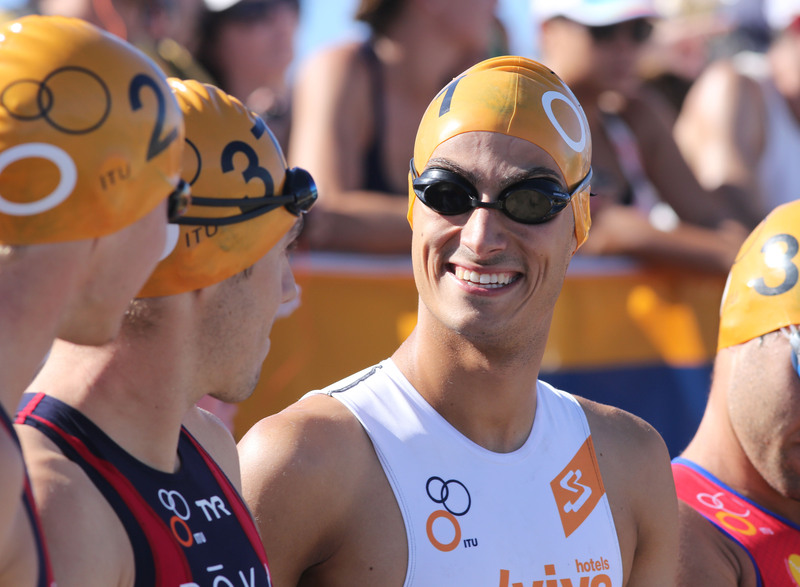 “I’m fortunate that I can just back off a little bit (in running training), so it was good to come out here today to see where my running is at. 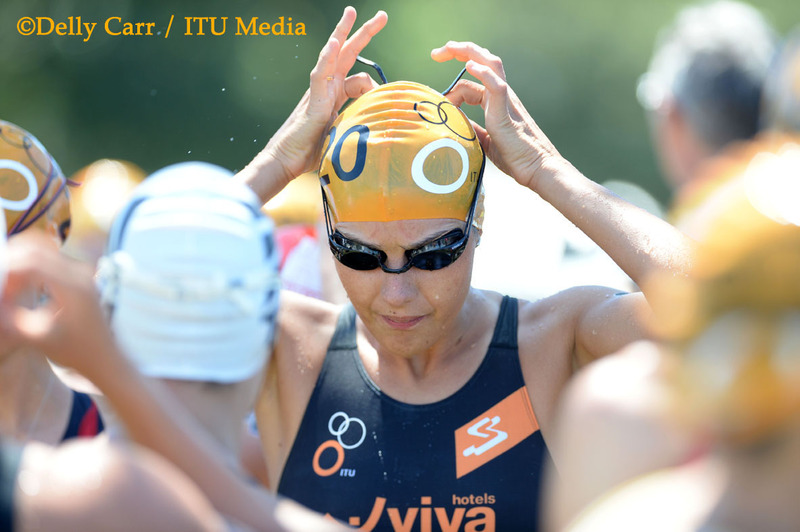 I am really focusing on the World Triathlon Series which starts in Auckland in a few weeks. 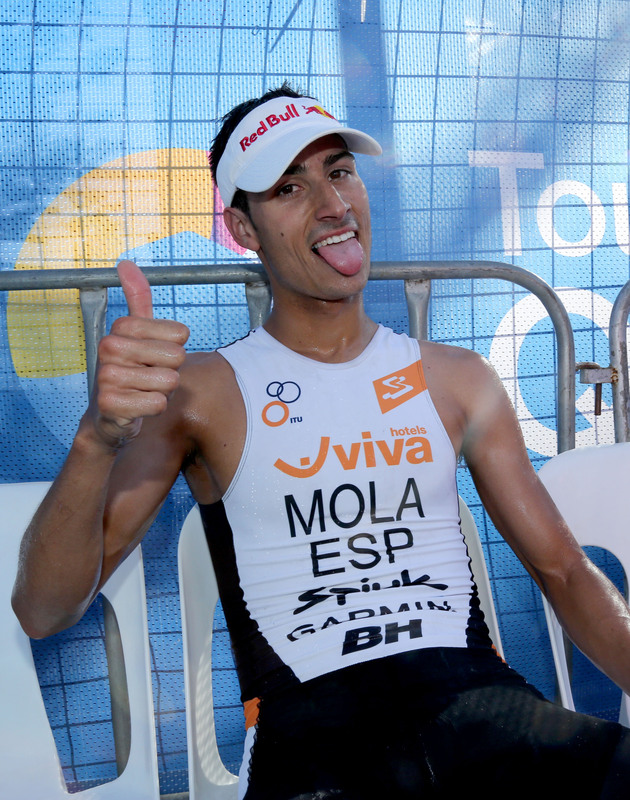 That is also a tough race with the hills and the weather, so I just need to keep training for that. 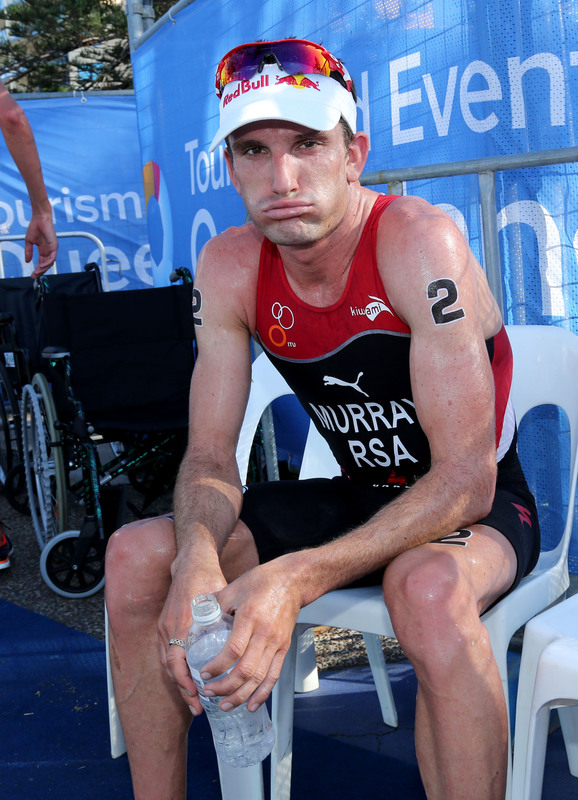 While Jorgensen was a race favourite, the less heralded Hursey had a race to remember; first out of the water and out of T1. 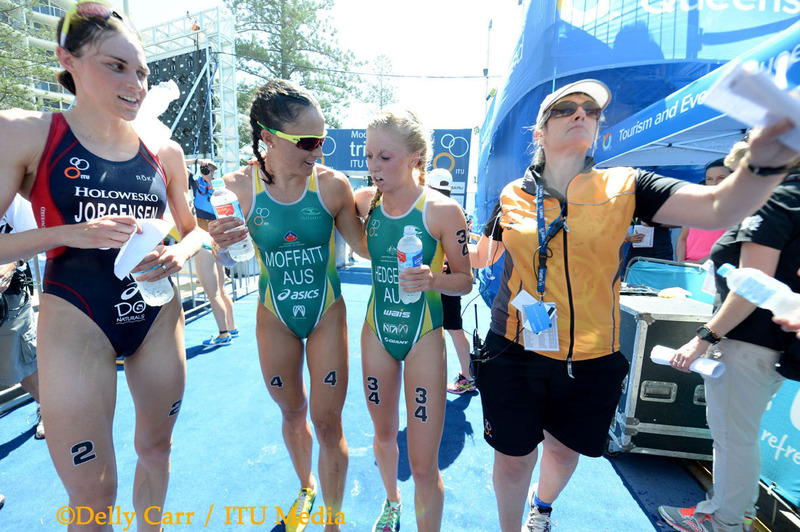 She led Spain’s Carolina Routier from the dead calm waters of the Mooloola River while Jorgenson placed herself well early on to finish the 750m swim in seventh place. 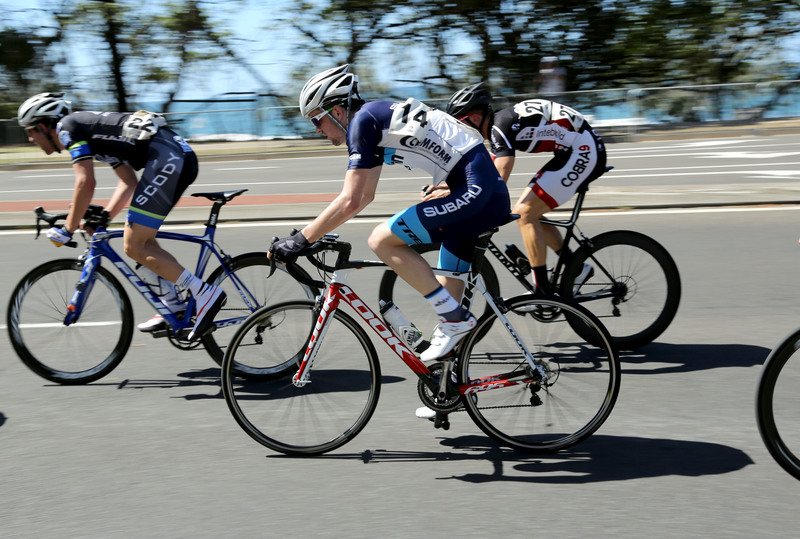 Hursey led the pack through the first of the four bike laps while Ashleigh Gentle (AUS) led the chase group in the early stages with Commonwealth Games selectors looking on. 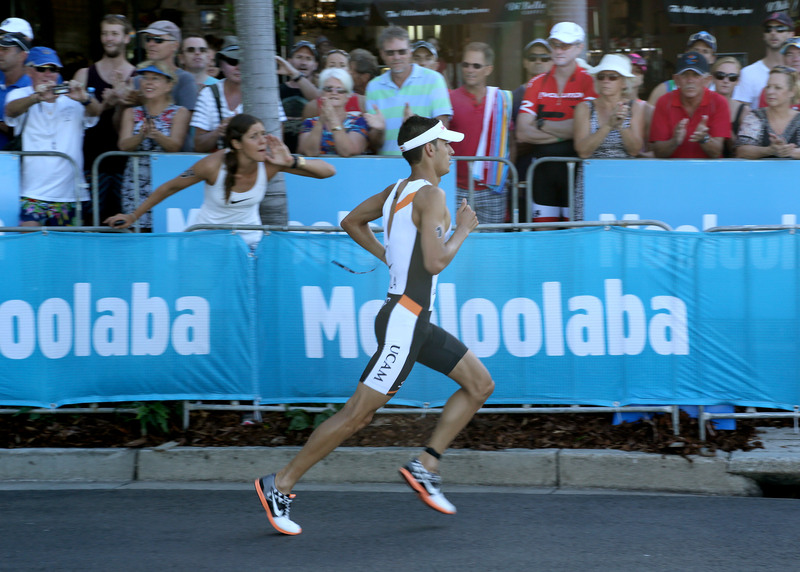 On the second lap, Emma Moffatt (AIUS) took the lead of a bunched pack of 18 riders, defying the ‘Ironman legs’ she spoke about carrying into the Mooloolaba event after winning the Ironman 70.3 Geelong race last month. 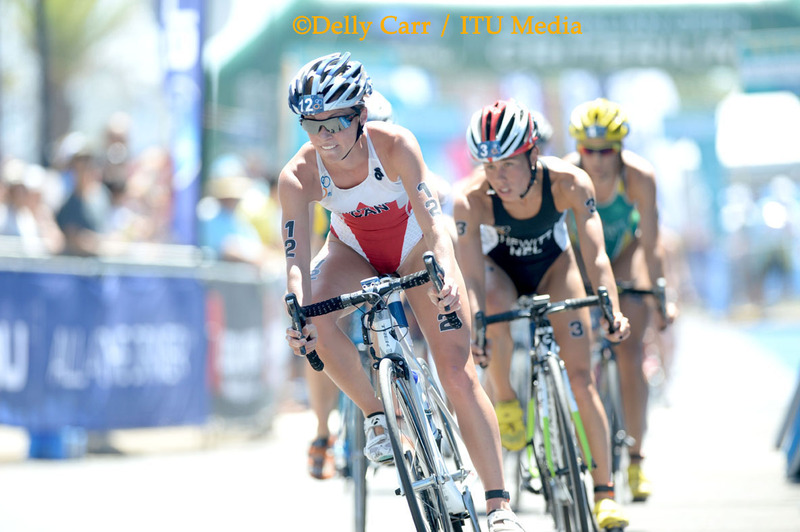 After some jostling by a number of riders late in the second lap, Canada’s Kirsten Sweetland briefly took the lead at the 15km mark, but it was then, with the chase group a clear 90 seconds behind, that the pack slowed down and strategy came into play. 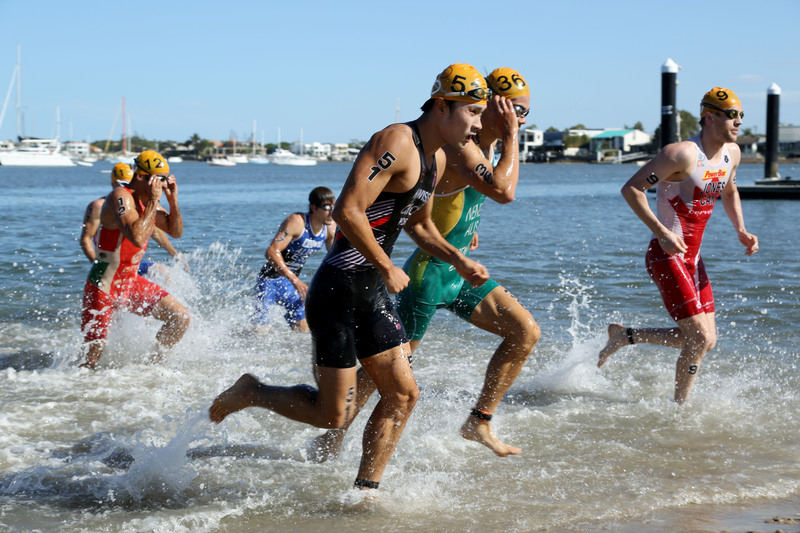 The all-important T2 saw Moffatt draw on the experience of nine Mooloolaba races to regain the lead over Germany’s Rebecca Robisch and Australians Gillian Backhouse and Gentle. 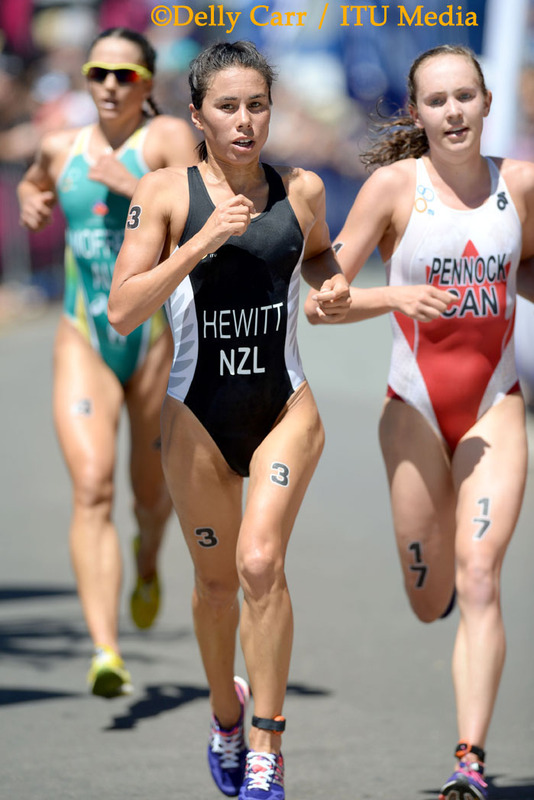 She led at the end of the first of the four laps with Ueda, Hursey, Jorgensen and New Zealand’s eventual fifth placegetter Andrea Hewitt hot on her tail. 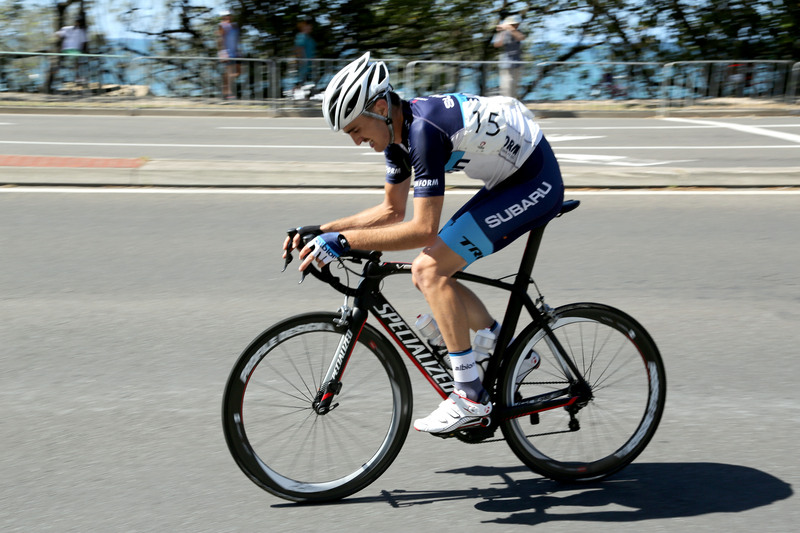 But the positions were to change by the half way mark with Jorgensen sticking to the script and hitting the turbo for the final two laps and crossing the line to convincingly take the first World Cup event of the season. 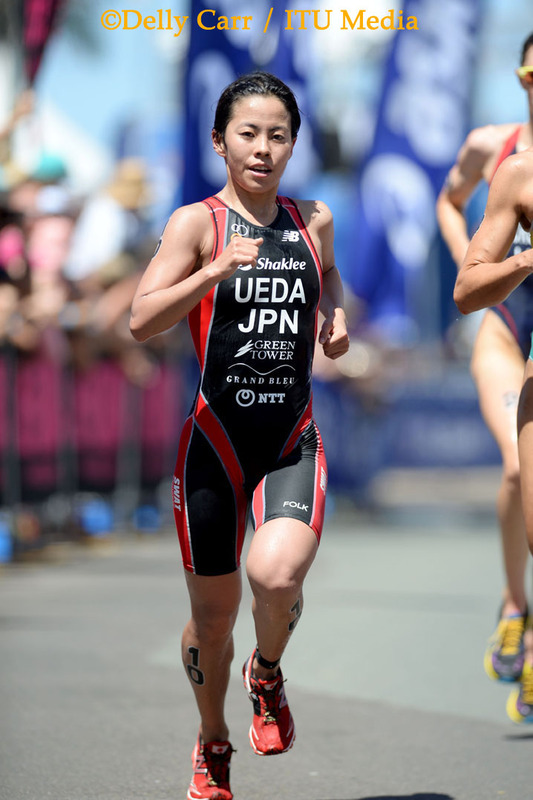 Ueda has already set her sights on her next challenges. 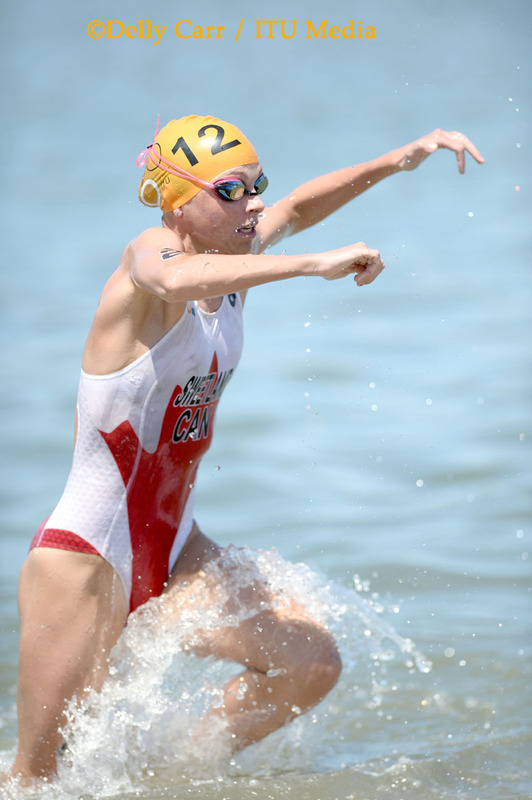 Beijing 2008 bronze medallist Moffatt praised the quality of the field. 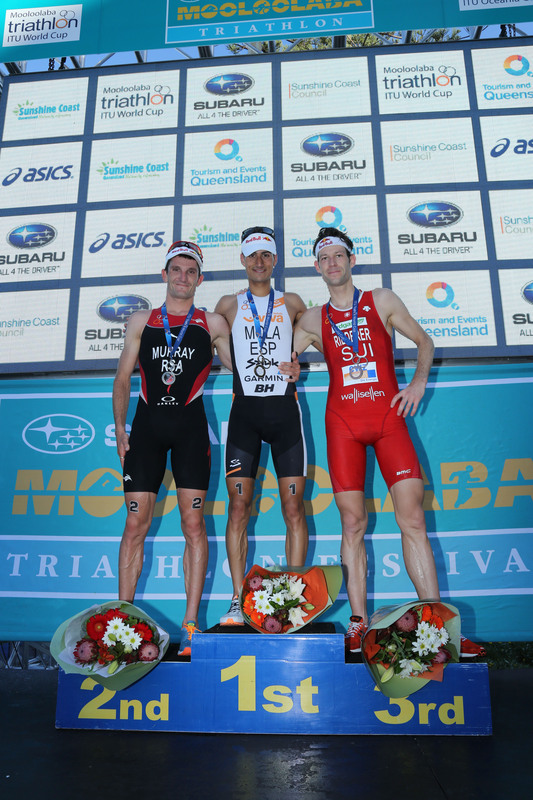 Mario Mola cemented his spot in men's triathlon with a win at the season opener 2014 Mooloolaba World Cup, with Richard Murray and Sven Reiderer rounding out the podium. 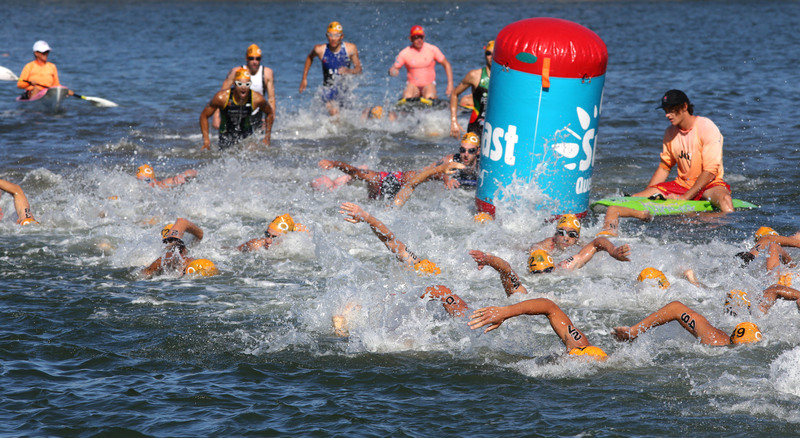 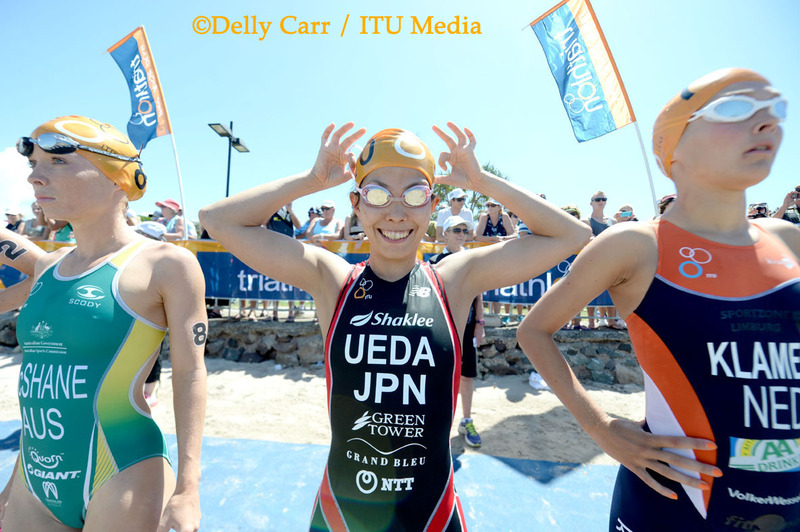 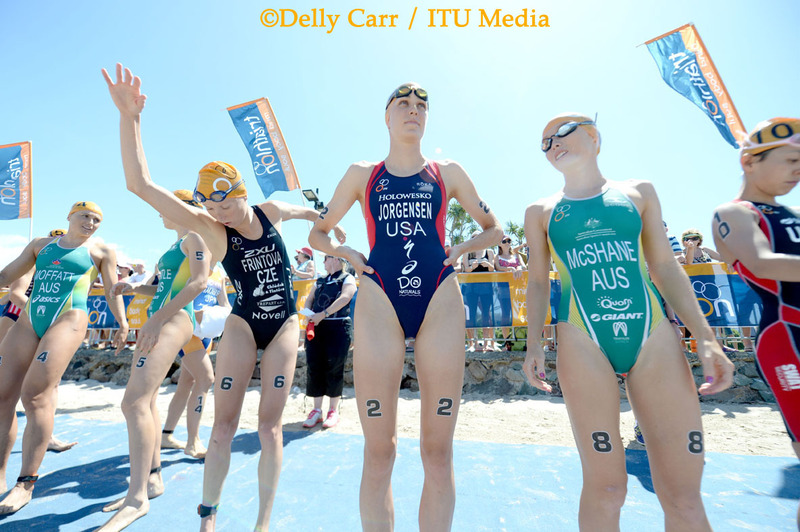 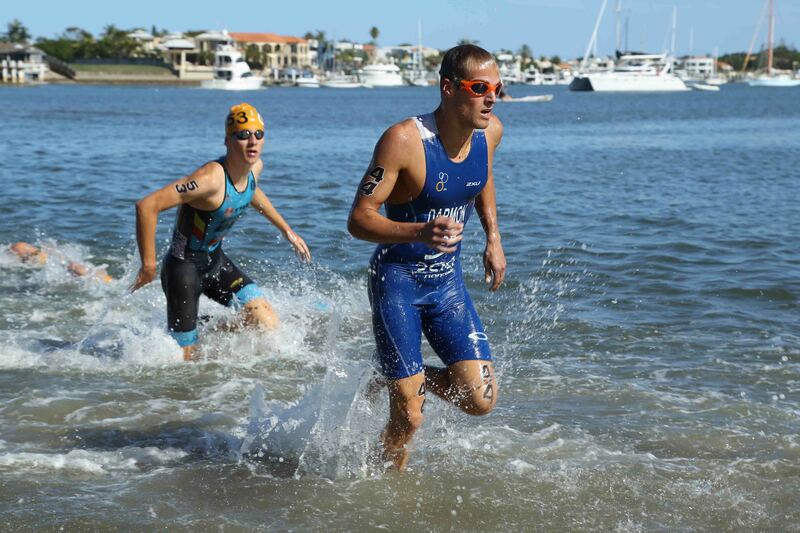 The 2014 ITU triathlon World Cup season officially gets underway this weekend in Mooloolaba. 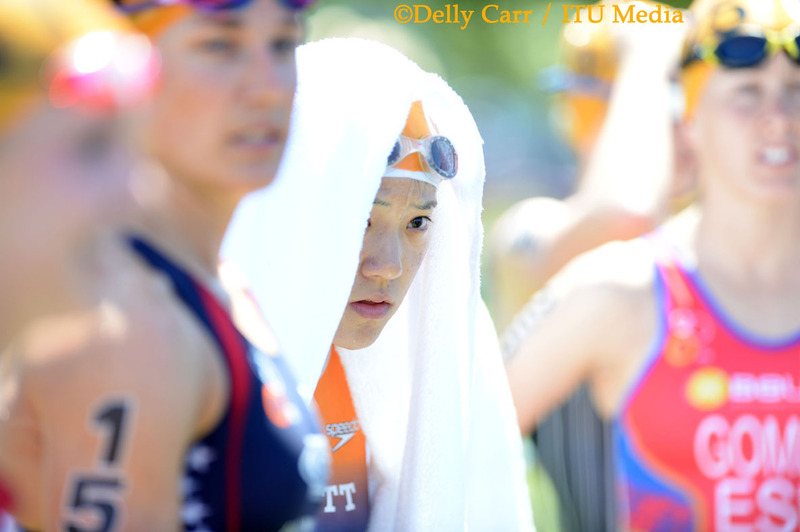 Check this article for live coverage times. 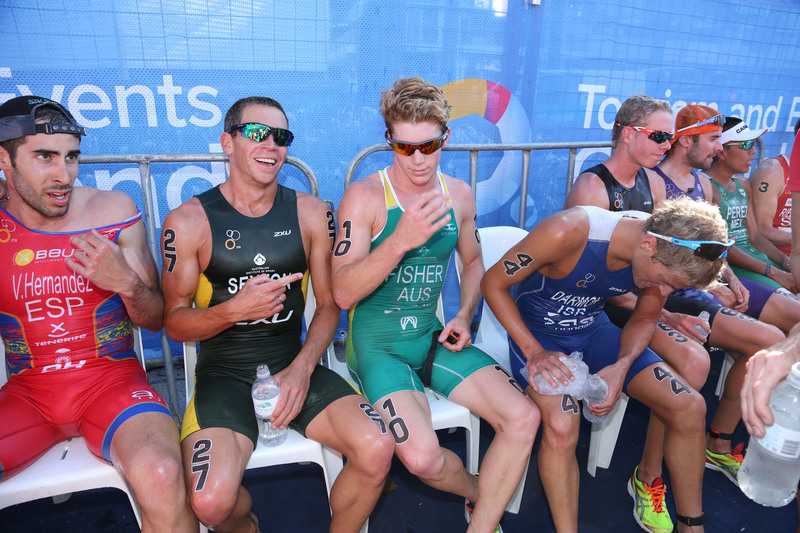 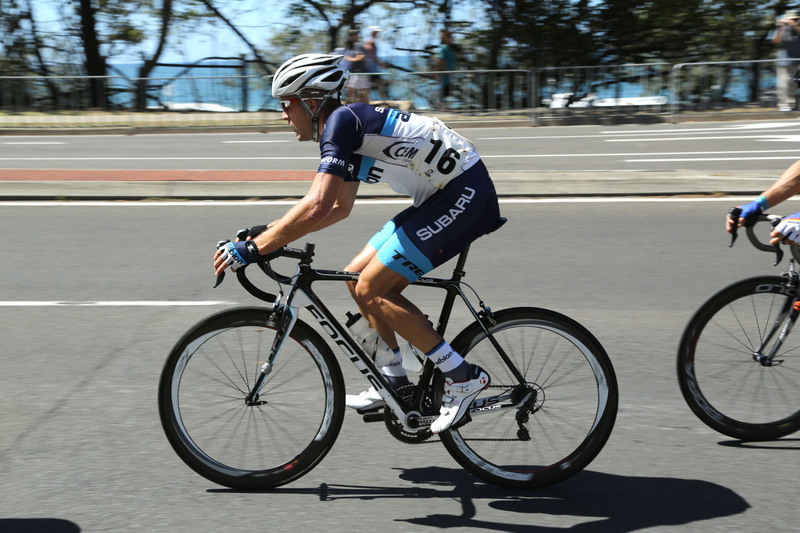 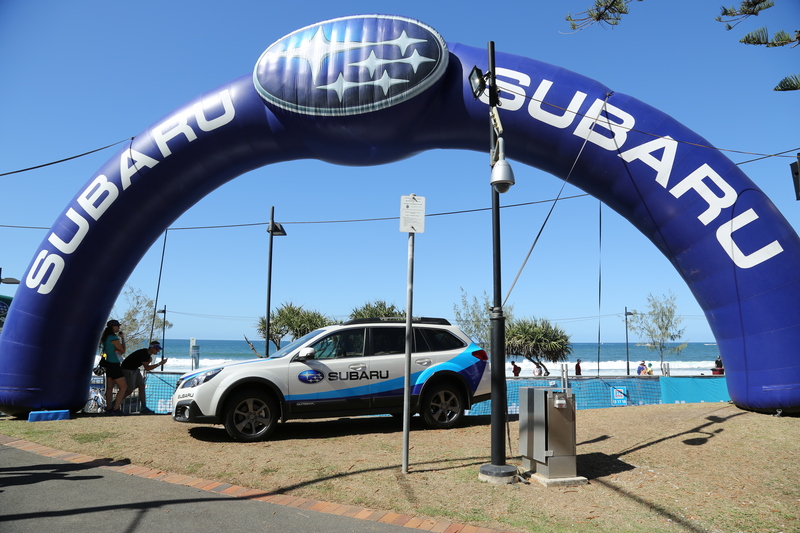 With just one sleep until the season opener, the pros chat about the 2014 Mooloolaba ITU Triathlon World Cup. 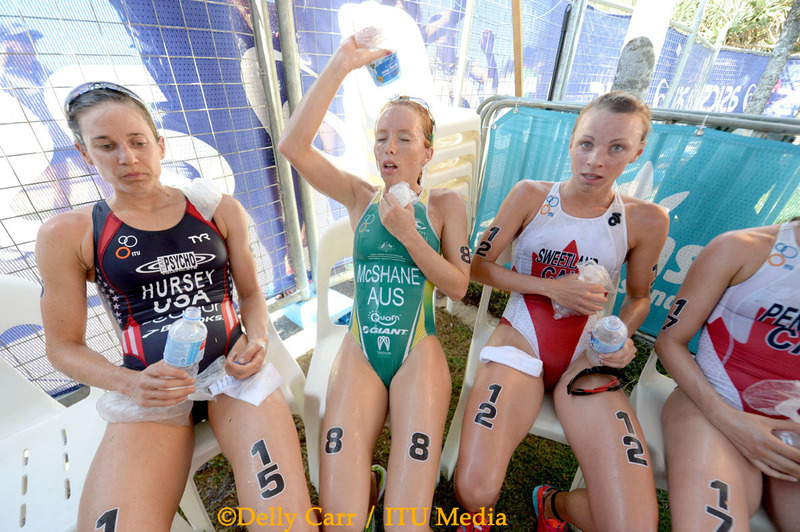 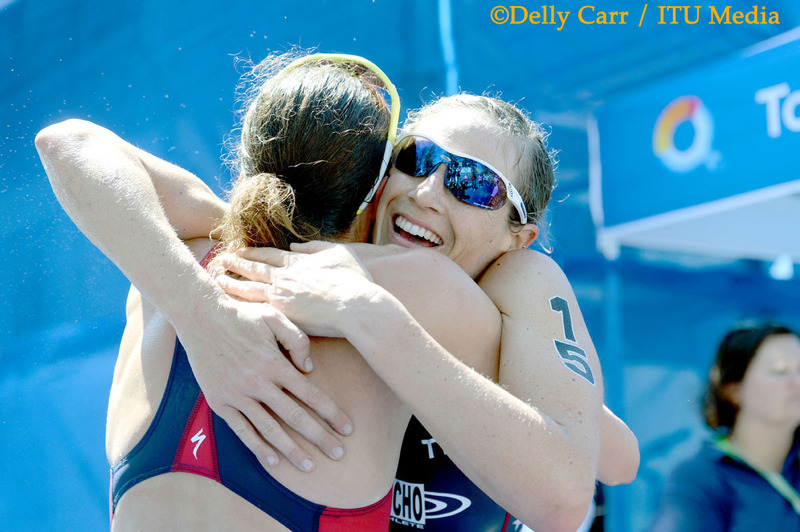 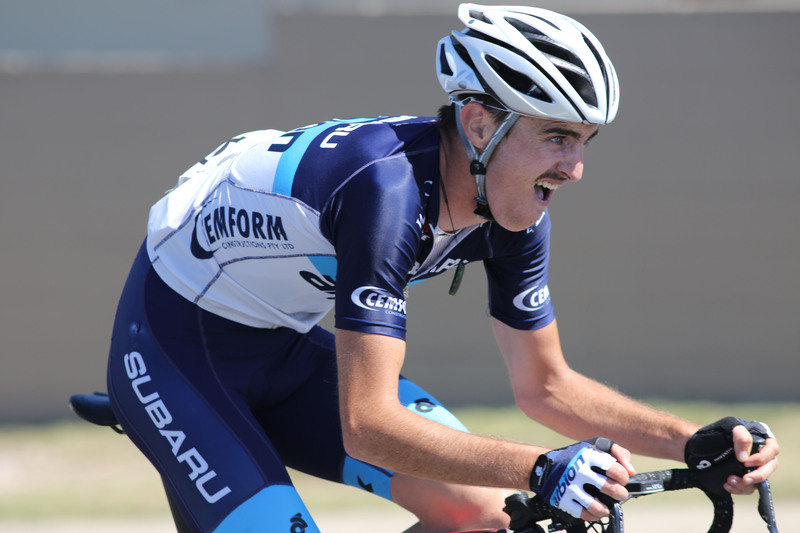 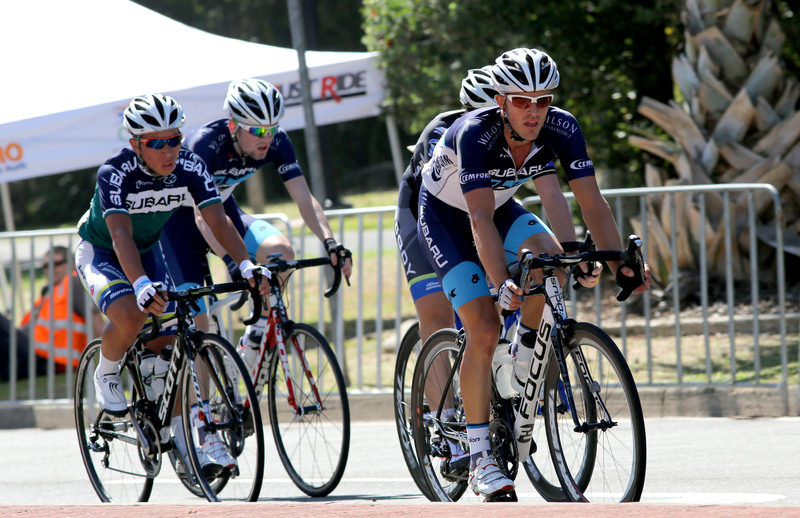 Find out what they have to say on their race prep, season goals and more.